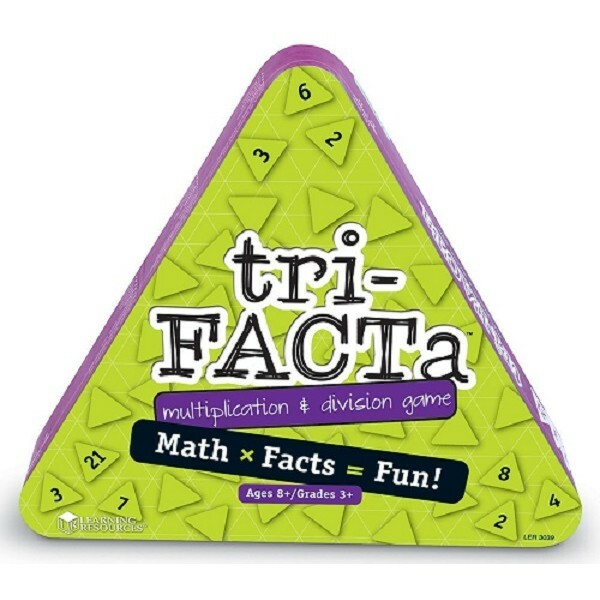 Triumph over multiplication and division and excel at having fun with this fun game from Learning Resources! 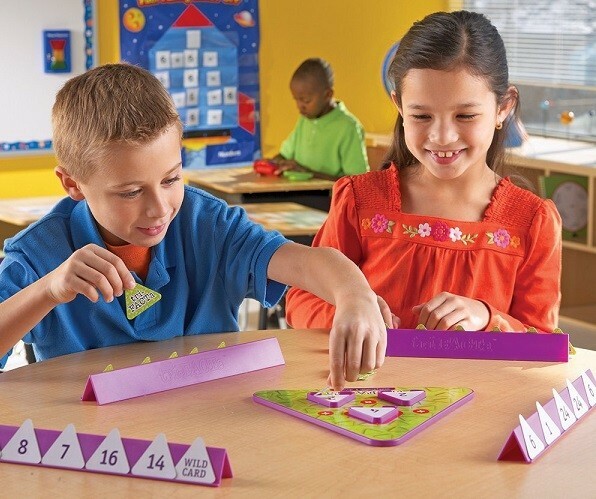 Using numbered playing cards and the familiar triangle board as a visual cue, fill in the missing spots to complete number families. 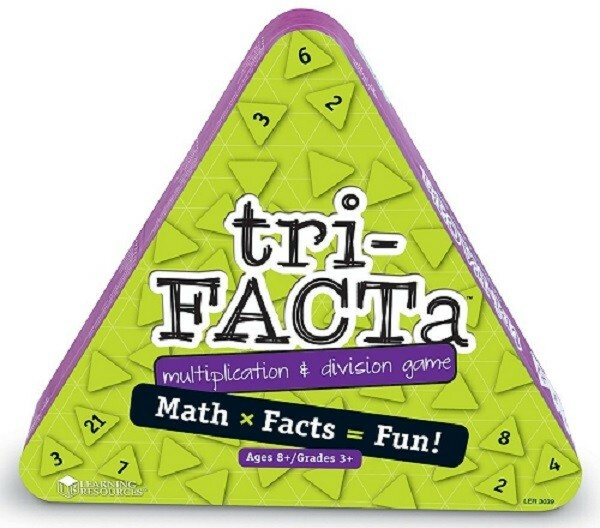 Be the first player to play all your cards, and call out "tri-FACTa"! 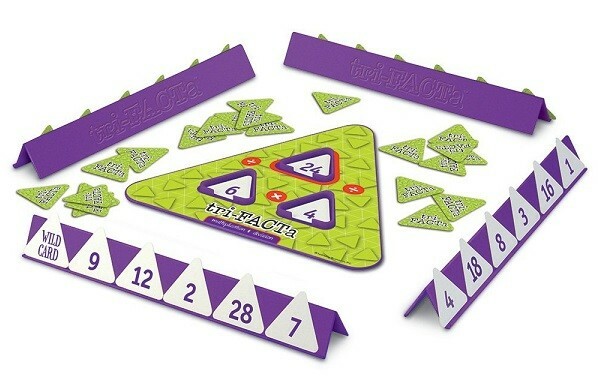 This game for 2 to 4 playesr includes a triangle game board, 100 cards (facts up to 100) and 4 trays.